I also recorded this possible Geminid event at 2:09 AM EST on Friday Dec. 14th. in Youngstown, Ohio. Frequency was set at 88.9 MHz. 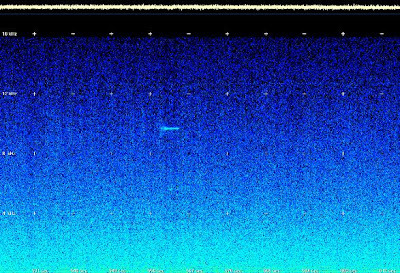 This looks more (to my mainly untrained eye) like the typical meteor scatter than the last example I posted. The previous post on Friday may have been interference.